These are the most elite Italian hyper-boutique GTs of the 1960s - near-mythical, high fashion and fast in an epic Mille Miglia-type way. And, to borrow from the Prince classic, we're going to fang them like it's 2011. In the haze of a Cotswold, UK, afternoon the 5000GT and 500 Superfast look and sound fabulous together. The Allemano-bodied Maserati is the simpler, more brutal shape, with instant authority from its assertive nose and long flat bonnet, while the Pininfarina Ferrari is long and sensual, with curves you want to caress. They sound pleasingly individual to even the untuned ear. The fuel-injected V8 Maserati barks with the impatience of a race car flexing its muscles, whereas the Ferrari's V12 growl is silken, cultured and confident. It's Superfast versus 5000GT, let's make some noise! Cruising through country towns some people don't even notice the blue and red beauties. Heathens! Don't they realise that these were the last coach-built, limited-production cars offered by arguably the two greatest names in Italian exotica? Nothing else was available for those who wanted race car performance with GT comforts, and their huge price tags inspired as much awe as their legendary speed. That the £11,500 Ferrari cost £2000 more than a Rolls-Royce Phantom V Limousine in '66 shows what a rarefied universe it inhabited. Maserati didn't even bother listing the 5000GT in Britain, but in Italy its 7.5 million lira list price bought two Mercedes 300SLs. Both cars were only ever built to order and appealed to the wealthiest international clients who could afford a car that combined uncompromising power with supreme luxury. 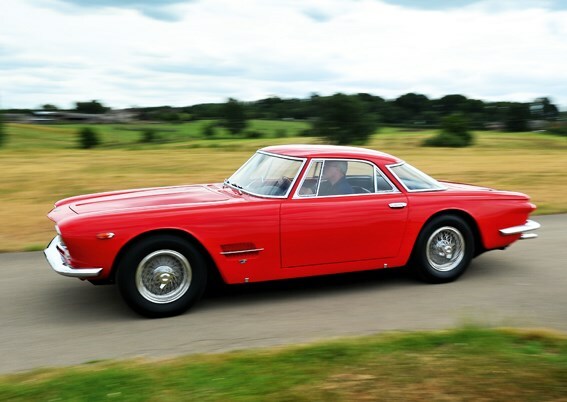 In fact, both cars were targeted at royalty and celebrities: even the Ferrari brochure proclaimed it was destined to be a car for "sovereigns, performers and great industrialists" - those that did not have to ask the price. 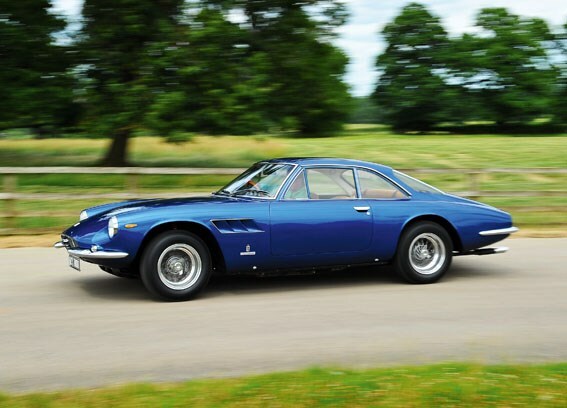 For the potential Superfast or 5000GT customer, an 'ordinary' Fazza or Maser was simply too common and each 5000GT and 500 Superfast would come to be identified by the individual who commissioned it, be it the Shah of Persia, Peter Sellers or a property tycoon. 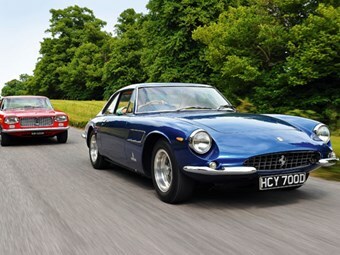 With their heady 170mph-plus (273km/h) top speeds, tiny production runs and vast prices, the 5000GT and Superfast were truly in a class of their own. They were born to a world of hand-built exclusivity and glamour that has always made a comparison irresistible but, until today, impossible to engineer unless you were the Aga Khan - who owned both. Luckily we were able to snaffle a 500 Superfast and a 5000GT, which was previously owned by Joe Walsh of The Eagles, no less. Ferrari chassis 6661SF was ordered by a stockbroker but when it turned up it had so many faults - poor brakes, rust, noisy engine - that he sent it back, naturally. Despite Maranello Concessionaires offering a complete respray, the owner - who had just bought the world's most expensive production car - wouldn't accept the car and gave instructions to order another one. Enzo Ferrari himself pushed through the build on the second Superfast, but it was still nine months before it turned up. This car is the rejected 500 Superfast, which went on to have a happy life with seven subsequent owners including Le Mans winner Richard Attwood. In the metal, I'm not sure that the Superfast is an especially beautiful Ferrari, but I still love it. It's unashamedly big for a start - almost as long as a Rolls Royce Silver Shadow - but more importantly there is an aura of craftsmanship about the car, a feeling that its seamless panels have been teased out over a wooden master buck by squat Italians (perhaps under the critical eye of Mr Pininfarina himself). It gives a powerful sense of occasion. Look at how the front guards form one huge panel with the nose; see how the fine shutlines of the bonnet barely interrupt the sweep of steel up to the base of the windscreen. Blu Chiaro with tan leather seems to have been a popular livery with the eight British Superfast owners. It flatters the car's soft curves, elegant detailing, slender bumpers protecting each corner, and its jewel-like tail-lamps. The Ferrari looks squat and self-assured on its deeply inset Borranis, massively shod (for the '60s) with round-shouldered 205-section cross-plies. The cabin is cultivated and refined. The handsome five-dial binnacle could be a blueprint for Farina's later efforts on the Lancia 2000 Coupé and the headlining is classic quilted Pininfarina. In terms of equipment there are few distractions or complications. You could order air conditioning, power steer and rear seats but this car doesn't have them, only a basic period radio and electric windows; the finish is deluxe, not the specification. I drive the Superfast with all of its fluids warmed. 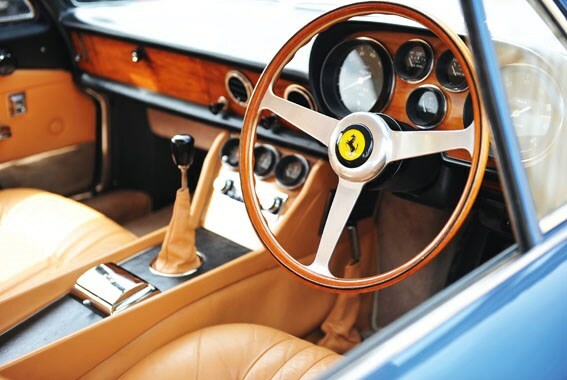 The steering is heavy at low speeds (the lock is awful) and you guide the car with big crude sweeps, but with the large steering wheel you can put plenty of leverage on the beautiful wooden helm, which is well placed in relation to the gearlever that juts from the console. The brakes, clutch and steering are harmoniously meaty in their requirements, but the sense of effort falls away as the speed builds. Slight vagueness becomes absolute straight-line stability and you can guide the Superfast with small hand movements, changing gear with a flick of the wrist, each ratio hitting home with clanging precision. The Superfast will easily nail the speed limit in second gear, but you can hum along nicely using just two thirds of the available 6500rpm and urge it quickly up to three figures without really trying. It cruises relatively quietly, so you can sit back at 180-195km/h and gaze down the long bonnet at the rapidly approaching horizon. Change down, crack the throttle open and the resultant noise has you batting off the clichés with the thick end of a thesaurus. The Superfast lunges forward with an animalistic, deep-lunged roar as 12 hungry cylinders - each the size of a Chianti flask according to Enzo Ferrari - get fed gulps of super from three twin-choke Webers. It's a large car with traditional suspension (even by the standards of 45 years ago) but the Superfast is pretty viceless; good, even, on smooth surfaces. It telegraphs everything that's going on when you tip it into a corner then expects you to keep it together and emerge in one piece on the exit. But it's just that little bit too big and too heavy to ever completely let your guard down. Still, fanging the Superfast through your favourite curves will bring a smile to your dial. Race between corners in fourth and fifth, snick it into third, feed in enough power to kill the understeer then let the beautiful Nardi wheel self-centre and you'll note that your horizon remains fairly level. But the high-geared 400bhp Superfast is really all about conquering autostradas and mountain passes on the way to exotic destinations. 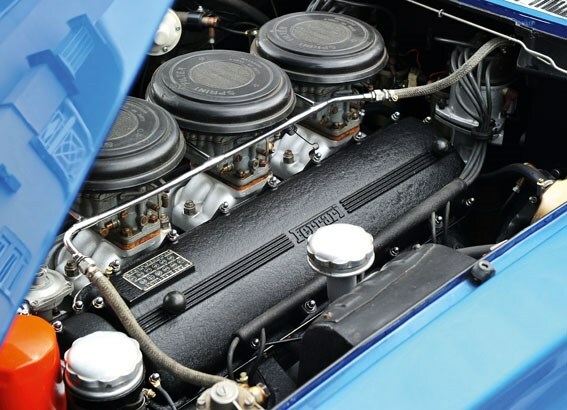 It had such a huge speed advantage over most other '60s cars that owners must have regarded it as a fantastic time-saving tool. You could say much the same about the Maserati 5000GT but it is an edgier car in both looks and in feel. Compared to some of the gruesome efforts perpetrated on this chassis, its Allemano body is a model of restraint. To the untrained eye it looks imposing and powerful, with only a richness of detail and finish to distinguish it from lesser Maseratis. 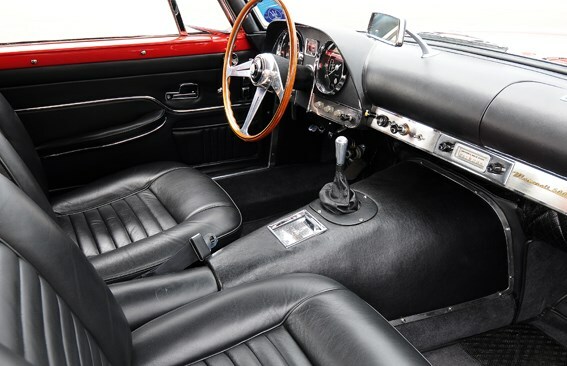 Inside, it could be one of its six-cylinder siblings of the day but coach builder Touring's 'Shah of Persia' 5000GT featured gold-plated dials and switches, fine wood and an extraordinary steering wheel with spokes that echoed the trident badge. This one is luxurious, with black leather and wrist-chopping electric windows, but there is nothing as decadent as ergonomics in evidence, just a wooden Nardi steering wheel and beautiful instruments set in a dashboard of leather and brushed stainless trim. The 5000 doesn't pander to your weaknesses - there are no cupholders - this is a cabin where you absorb the distance in steely-eyed concentration. Sold new in January 1964, chassis AM103.026 went to a second owner in the US early on. Joe Walsh bought it in the '70s, but it spent 20 years of its life with another collector in Seattle. It was sold in 2000 to a UK collector, but nobody knew it was here, and since then it has had a complete mechanical refurbishment. "You can't take the heads off in situ because it has head studs rather than bolts, and you can't put the manifolds on after you've put the heads on. Also, the throttle is odd: it's a thick push-cable with lots of potential for sticky throttles - so we will probably convert it to a linkage." 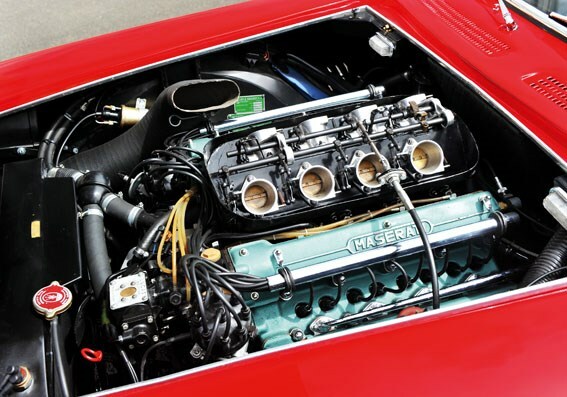 Although it's visually similar - apart from the lurid green cam covers - to the V8s Maserati built for its series production models in the '60s and '70s, the 5000's engine feels different. It's grumpy, on-edge and a little ragged low-down, like a racer, with an urgent throttle response thanks to fuel injection, which Maserati pioneered on its road cars in the early-'50s. The steering, brakes, gearchange and clutch require man-sized inputs and driving the 5000 on a warm day becomes a workout in the glassy cockpit. You find yourself hanging onto the wheel in corners because the seats have little grip. On a twisty road, you can feel the 5000's size. The steering is low-geared and smooth, and not especially heavy once you are moving, but the throttle is so responsive that it takes a while to learn how to move with the car. You pour it discreetly into slow corners, pick up the inevitable understeer then nail the throttle to the sound of mean, slightly unkempt horses. That rising thunder is unmistakenly V8 but it's a complex harmony of race-hardened brutality and the lush burble of a classic motor launch. The big two-seater rides well but its construction - a rugged collection of oval tubes - doesn't feel very stiff, which reminds you that this suave '60s body hides a 3500 chassis. Like all Masers from this era, through to the early-'70s in fact, the 5000's underpinnings are an international technical melting pot (Dunlop discs, Salisbury axle, ZF steering and gears) of ordinary components that add up to more than their sum total. Hammering onto a bypass, the V8 makes a loud, expensive, resonant growl and locks onto a point in the distance like a heat-seeking missile. It's a red-blooded noise that makes you think of burly, oil-stained '50s racing heroes. Even at almost 50-years old, this masterful car's rightful place is the freeway's fast lane and, as you select fifth in the ZF 'box, it becomes obvious that as little as 3000rpm will give a 160km/h cruising speed. With the full 7000rpm available, the claimed 277km/h should be easily within its grasp. 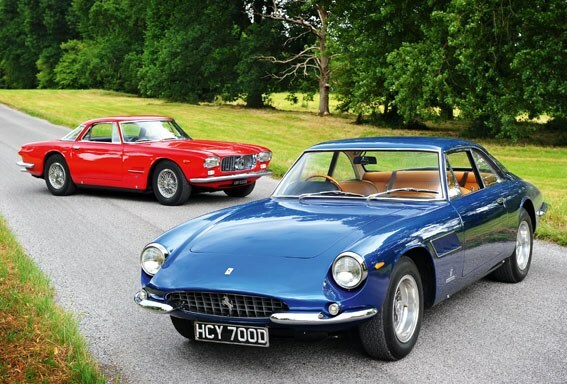 The market has traditionally undervalued these two cars, despite their extreme rarity: even at somewhere around £500,000 each, the Superfast and 5000GT are still not expensive buys in the realm of ultimate exotica. Which would I take home? Trouble is, if I came down in favour of one I would immediately regret it and want the other so, in a way, I'd have to have both. They would almost complement each other rather than cancel each other out. The Ferrari, overall, is probably the more accomplished car. More refined, more usable - as if that matters with cars like these - while the 5000GT has an additional element of intrigue about it that is difficult to define. But the Maserati just gets the nod, simply because it is not a Ferrari and, by some process of inverted snobbery, is it therefore automatically more desirable? Certainly there is something quietly noble and authoritative about a Maserati, one of the older ones at any rate. If these are the ultimate in elitist transport from a wishlist of big-buck supercars, then perhaps the Maserati, so aloof and mythologised, has to be the one. But only just.